Moviewall - Movie Posters, Wallpapers & Trailers. 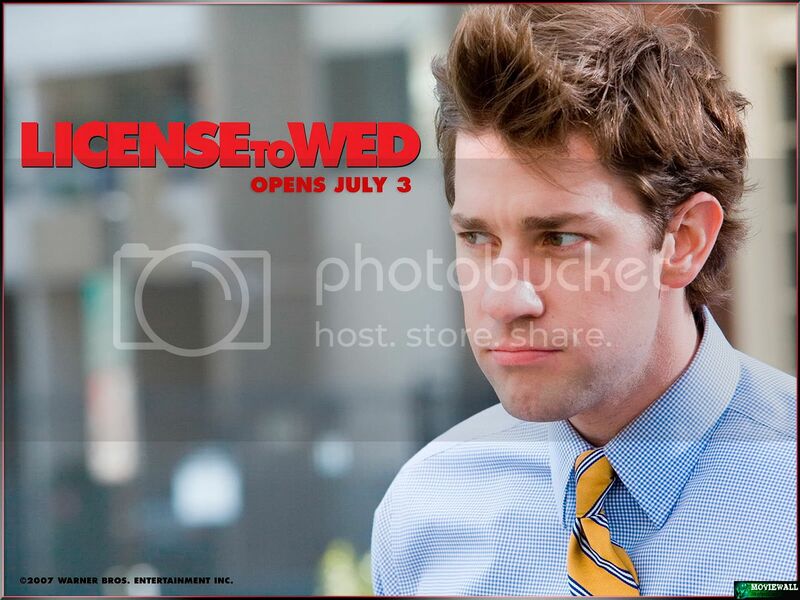 : License to Wed.
"License to Wed" follows newly engaged Ben Murphy (John Krasinski) and his fiancée, Sadie Jones (Mandy Moore), in their quest to live happily ever after. 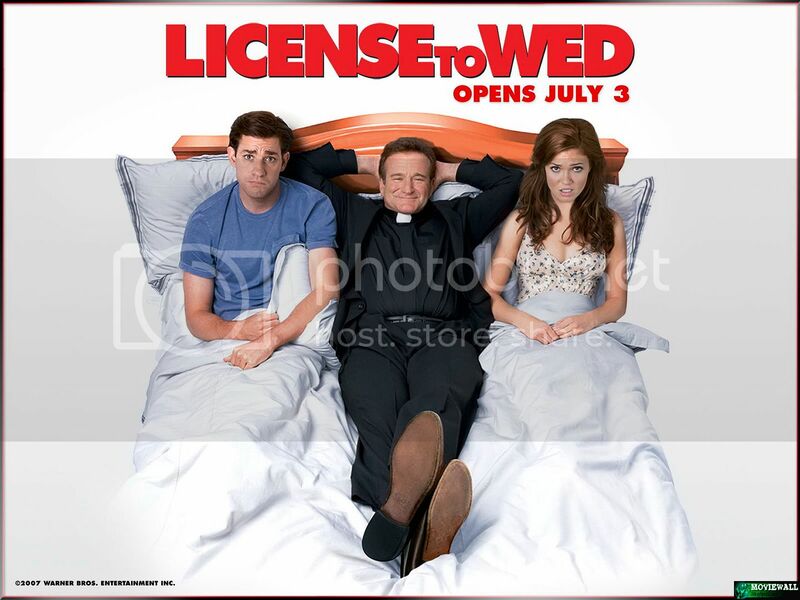 The problem is that Sadie’s family church, St. Augustine’s, is run by Reverend Frank (Robin Williams), who won’t bless Ben and Sadie’s union until they pass his patented, "foolproof" marriage-prep course. Consisting of outrageous classes, outlandish homework assignments and some outright invasion of privacy, Reverend Frank’s rigorous curriculum puts Ben and Sadie’s relationship to the test. 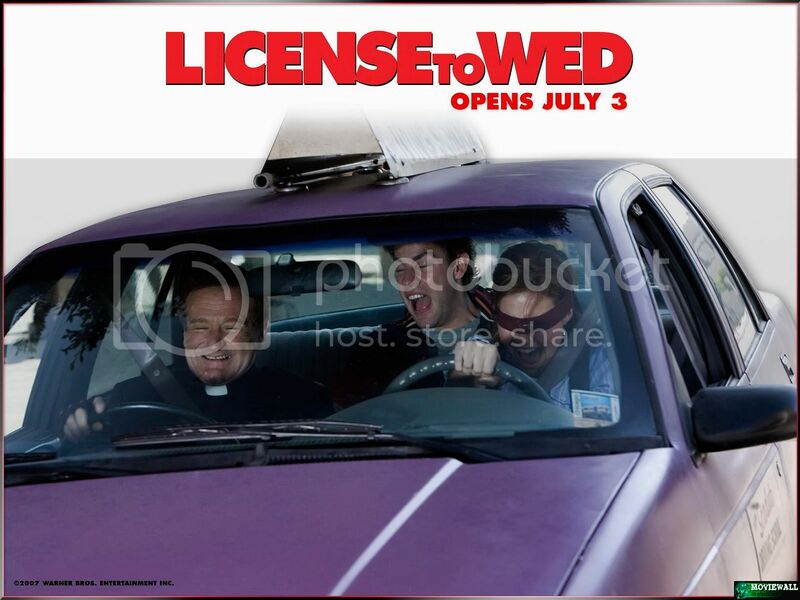 Forget happily ever after – do they even have what it takes to make it to the altar? 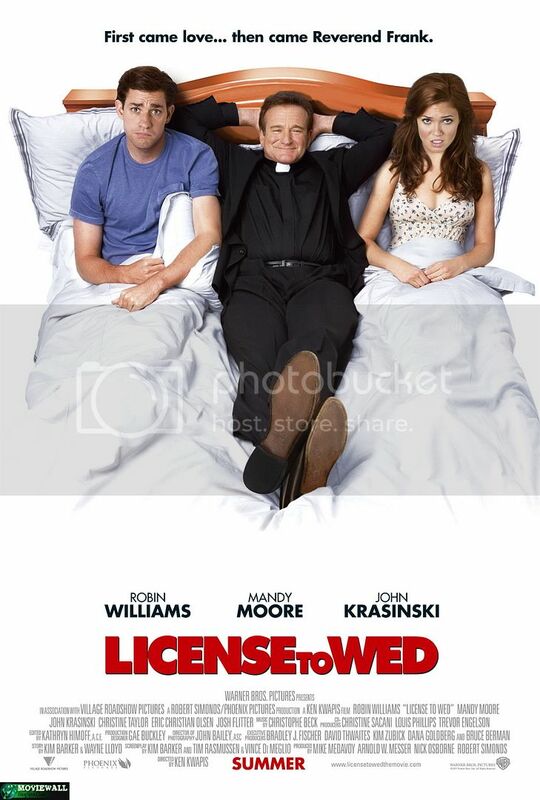 Movie Title: License to Wed. 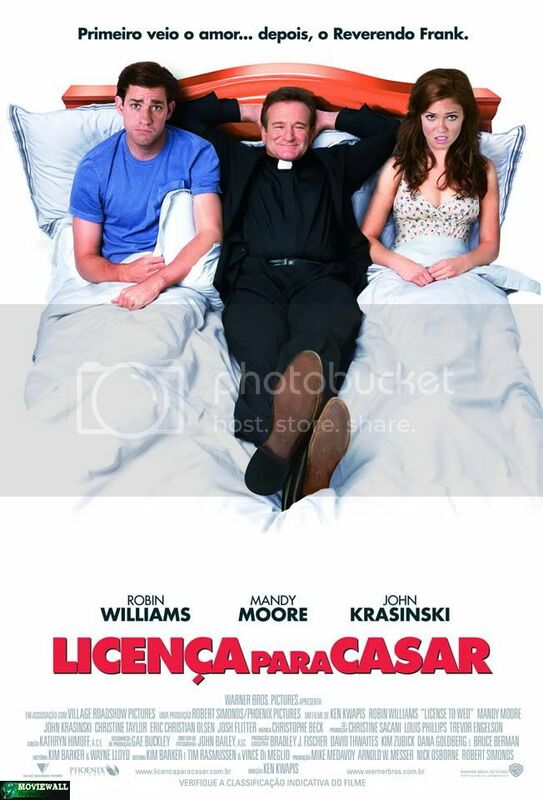 Starring: Robin Williams, Mandy Moore, John Krasinski, Christine Taylor, Roxanne Hart. Writers: Kim Barker, Tim Rasmussen, Vince Di Meglio. 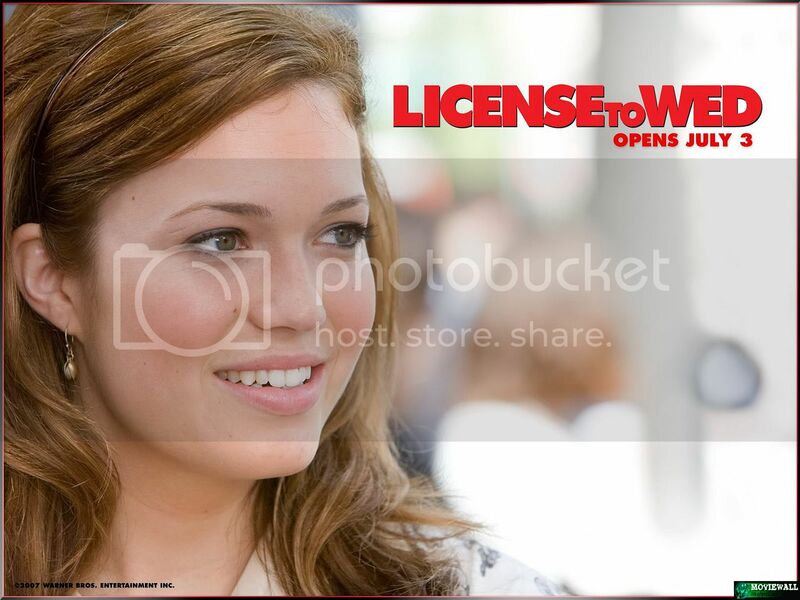 Release Date: July 3rd, 2007.